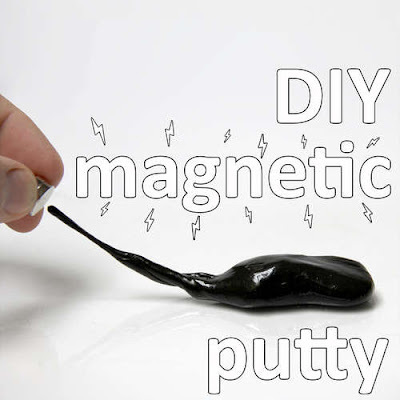 Michaelsaurus shares a tutorial on how to turn regular old silly putty into magnetic putty. This has summer project written all over it. You can get the tutorial over at Instructables. Finn would LOVE this! Plus we just had to pitch his Silly Putty from his Easter basket. My husband was given some of this stuff (bought online) for Christmas. He loved it. Now we'll have to try making our own. Thanks!